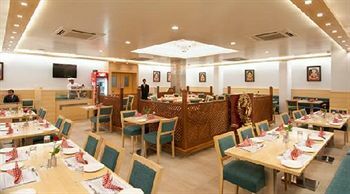 We are a newly opened 28-room hotel with a vegetarian South Indian restaurant. We have made our presence felt in Agra as we have a running vegetarian south Indian restaurant at Meher Cinema Complex, Agra Cantt for the past 20 years. Doctor on Call, Airport Transportation, Travel Counter, Backup Generator, Currency Exchange, Breakfast Services, Laundry Facilities, Parking, Security Guard, Room Service. Iron/Ironing Board, Air Conditioning Room, H/C Water, Toothbrush/Razor on Request, Cable/Satellite TV, Attached Bathroom, DVD Player, Wakeup Calls, House Keeping. User reviews for "Dasaprakash Hotel Agra"